Chocolate Pimpin' Music presents In The Mix with DJ Kevey-O. Bringing you the best in clean radio friendly music from the 80's, 90's and the new millennium. Hip-Hop, RnB, New Jack Swing, Pop and a few classics sprinkled in for good measure. 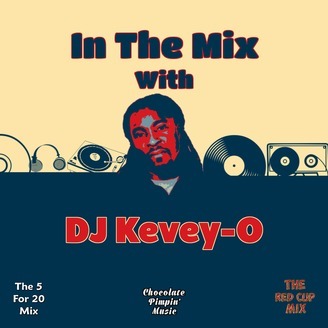 Thanks for checking out In The Mix with DJ Kevey-O and don't forget to follow DJ Kevey-O on Facebook, Instagram and Twitter. A new mix uploaded every Monday. 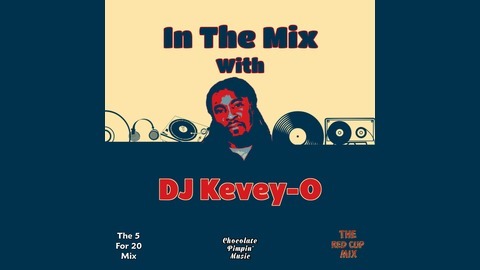 Chocolate Pimpin' Music presents The Red Cup Mix to celebrate DJ Kevey-O's birthday. This mix is the second of three. As always, check it out, like it, comment or download it to take The Red Cup Mix on the road with you. Follow DJ Kevey-O on Facebook, Instagram, and Twitter. All mixes are available for download on djkeveyo dot com. Thanks to all who have stopped by my page and blessed me with some love. You are appreciated!